Liquid water lake detected on Mars - Could there be life in it? Liquid water lake detected on Mars – Could there be life in it? A massive underground lake has been detected for the first time on Mars, raising the possibility that more water – and maybe even life – exists there, international astronomers said on Wednesday. Scientists operating ground-penetrating radar on board the European Space Agency’s Mars Express spacecraft, which is orbiting the red planet, announced the finding on Wednesday, ending decades of speculation. 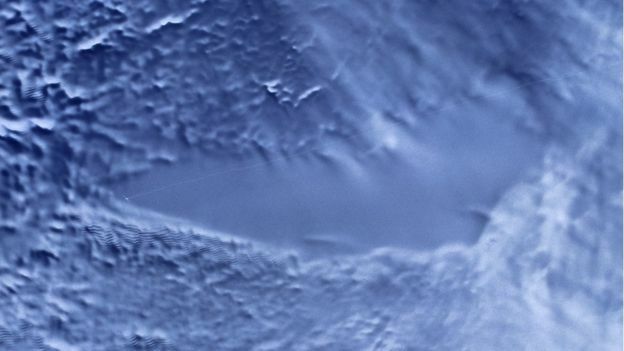 The huge body of water exists about one mile beneath the southern Martian ice cap and appears similar to Lake Vostok, which was found 2.4 miles beneath Antarctica and contained more than 3,500 species. “This thrilling discovery is a highlight for planetary science and will contribute to our understanding of the evolution of Mars, the history of water on our neighbour planet and its habitability,” said Dmitri Titov, ESA’s Mars Express project scientist. Mars Express launched 2 June 2003 and will have spent 15 years in orbit by 25 December this year. Scientists have long suspected that liquid water was once abundant on Mars because of evidence of dried up lake and river beds. It was also suspected water may exist under the polar caps because the melting point of water decreases beneath a glacier. 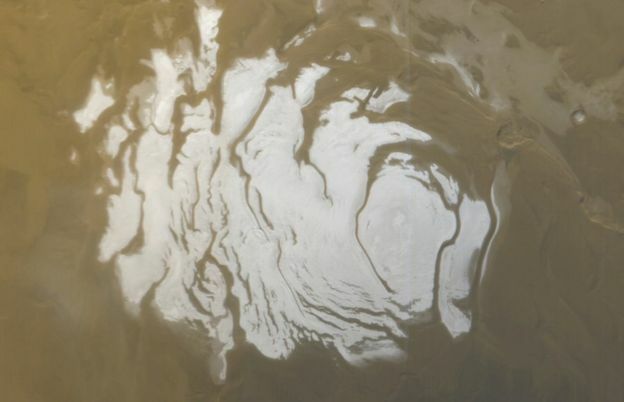 The radar investigation showed that south polar region of Mars is made of many layers of ice and dust down to a depth of about one mile but then changes to the signature of water. 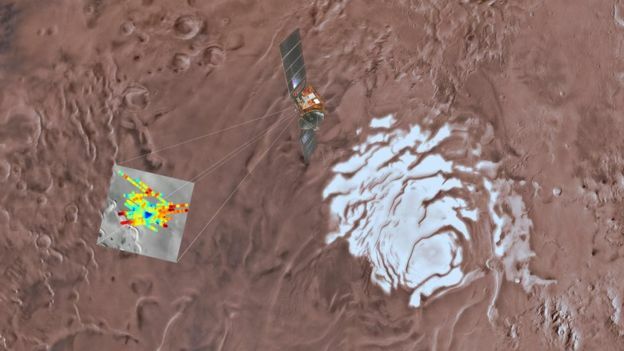 “This subsurface anomaly on Mars has radar properties matching water or water-rich sediments,” said Roberto Orosei, principal investigator of the MARSIS experiment and lead author of the paper published in the journal Science. “This is just one small study area; it is an exciting prospect to think there could be more of these underground pockets of water elsewhere, yet to be discovered. Jonathan Lunine is the director of the Center for Astrophysics and Planetary Science at Cornell University said it would now be accurate to call Mars and ‘ocean world’ which could harbour life.